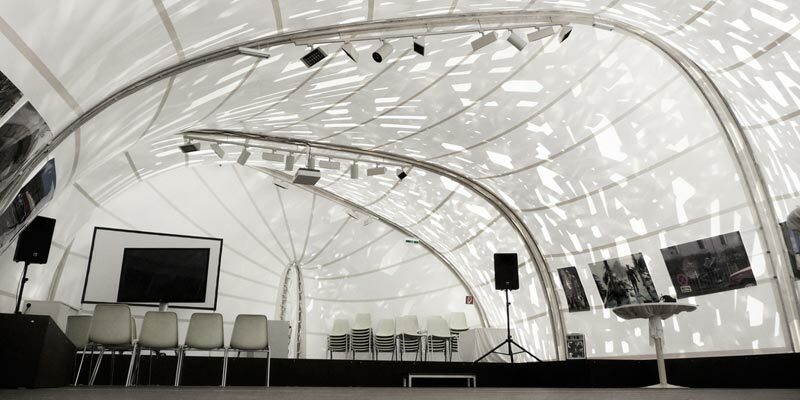 The temporary pavilion creates a unique venue for contemporary art productions in Salzburg, a city known predominantly for its classical music festivals. 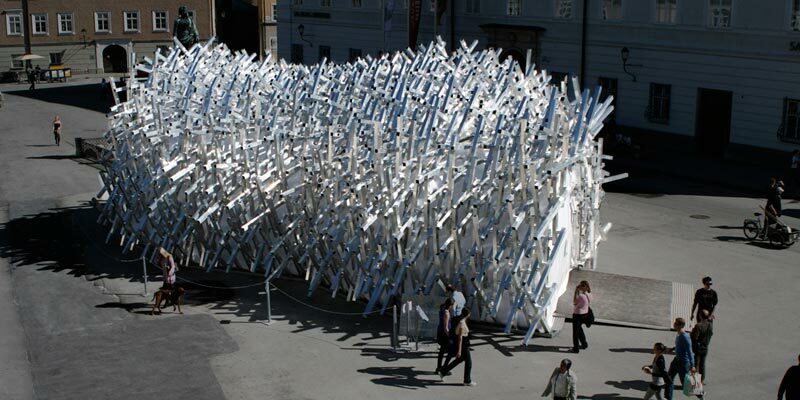 It’s main user is the Salzburg Biennale, a contemporary music festival. During the next decade, it will be used for various art events at different locations. Art is a cultural process involving many participants within a discourse. This process does not reveal itself at first sight, but unfolds through encounter and engagement. 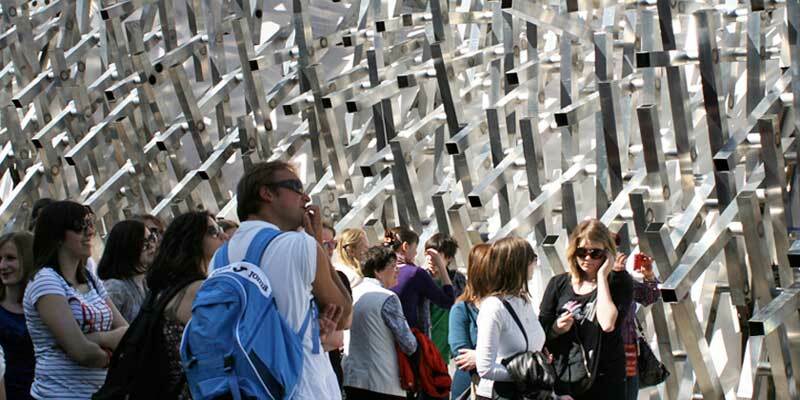 Emphasizing this idea, the pavilion’s appearance provokes curiosity and invites visitors to encounter the unknown and unusual. The architectural concept is based on a theme that is inherent in architecture as well as in music - rule and variation. 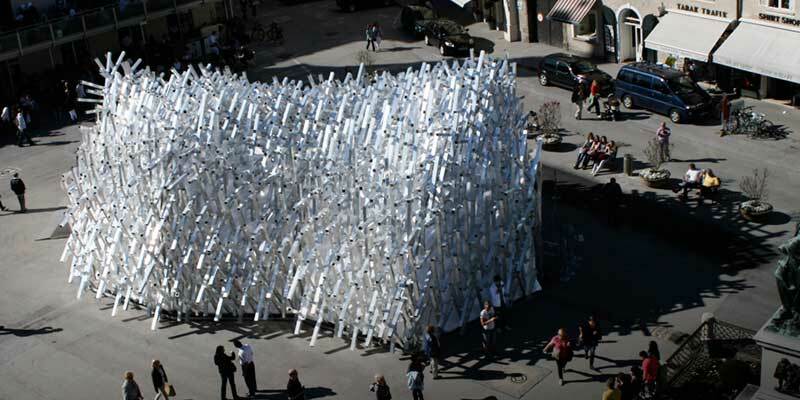 The design process of the pavilion is based on a simple repetitive element, a set of rules for aggregation, and the definition of the architectural effects aimed for. 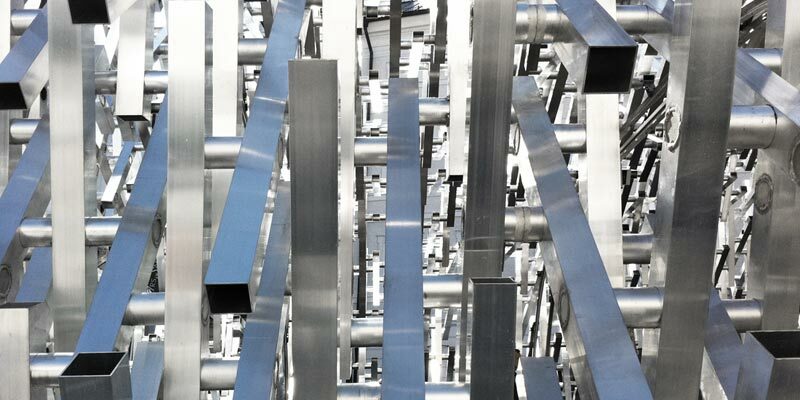 Individual aluminum profiles of uniform length produce an irregular, mass-like conglomerate that changes in appearance throughout the day, according to the different light conditions. The structure allows an ambivalent reading, focusing either on the single members or on the integrated whole, depending on the viewer’s distance from the object. 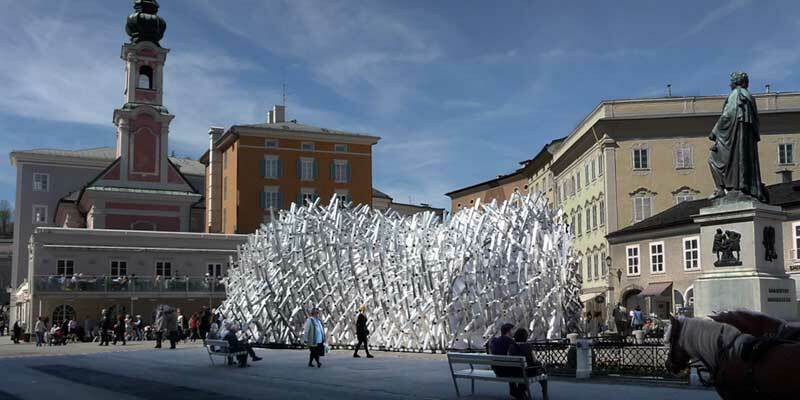 The speculative intention behind this “obliteration” of the pavilion’s structure is to prevent any conventional notion or cliché of “construction”. The mass-like appearance aims at underlining the creative character of our perception, since our brains are constantly trying to distinguish figures and patterns within disorder. Bottom-up also expresses a speculative intention here: Rather than representing forms or meanings, the architecture produces an ambiguous mass to allow visitors to invent their own interpretations and associations. 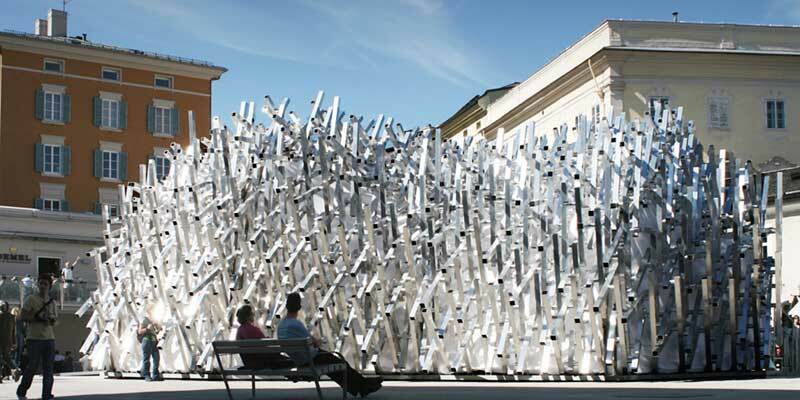 From this point of view, the pavilion’s design could be seen as “performative”. It is aimed at encouraging visitors to engage with contemporary music, not by being complicated or difficult but by displaying complexity in a playful way. evaluation of structure / ©BGS Eng.